Perhaps someday Hollywood will tire of movies about risky military missions. Probably not, but if that day ever comes, it won’t be today, which is why I’m about to write up 2018’s American Renegades. Back in 1944, Nazis hide illicit loot in a Bosnian village. Fast-forward to 1995, and a team of Navy SEALs participates in an operation that goes wrong. While suspended as punishment, the SEALS learn of the gold hidden at the bottom of the Bosnian lake. This leads them on a new objective: rescue the money and get it back to the rightful owners. One bad sign relates to the period of this film’s production. Renegades shot all the way back in spring 2015 and sat on the shelf until it finally got some non-US distribution in late summer 2018. Although IMDB claims Renegades received “limited” US theatrical exhibition in December 2018, nothing shows up on Box Office Mojo, which makes me suspect it was “limited” to some guy’s living room TV. Whatever release it may’ve earned in the US, for all intents and purposes, the film equals a “direct to video” production. That doesn’t necessarily doom Renegades, as I’ve seen some good DTV flicks over the years. Sure, most of them kind of stink, but DTV doesn’t automatically equal “bad”. However, the combination of DTV with “sat on the shelf for three years” sure does raise a suspicious odor. Would Renegades overcome the odds and turn out to be a good movie? Nope. While not the total stinker one might assume given its checkered history, Renegades resides a long way from “good movie” territory. What happened to Luc Besson? 20 years ago, he consistently put out solid films like Leon and Fifth Element, but since then, he’s been much more erratic, with a higher level of duds on display. Besson only acts as co-writer for Renegades, but it continues his streak of lackluster efforts. I don’t know why Besson lost his touch, but he seems more in touch with clichés and less able to find a creative spark. This means Renegades brings us a rote military flick but not one with much inventiveness or cleverness. It also takes on a very different tone than one might expect if one looked at the Blu-ray’s art. A glimpse of the Renegades case leads the potential viewer to think this will be a serious story ala something like American Sniper or Black Hawk Down. 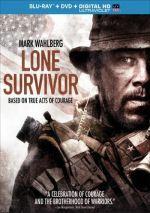 The blurbs point toward a combat flick with lives on the line and real drama to be found. Not really. Instead, Renegades offers an update on 1970’s Kelly’s Heroes, as it brings much more of a “caper movie” than a true “war film”. There’s nothing wrong with that orientation, though someone might want to sue for false advertising. Actually, I like the idea of a military flick that takes things less seriously, so the way Renegades goes for more of an Ocean’s 11 concept works for me. In theory, at least, but in reality, Renegades fails to ever find a groove. While the story comes with potential for excitement, it feels so “by the numbers” that it never achieves those goals. As I alluded earlier, none of these factors turn Renegades into a genuinely bad movie, as it manages a basic form of watchability across its 106 minutes. It simply can’t deliver anything more than that – if you view it, you seem likely to forget it almost immediately. American Renegades appears in an aspect ratio of approximately 2.39:1 on this Blu-ray Disc. The movie provided a solid presentation. Sharpness usually worked well. Though a few wider shots displayed a smidgen of softness, the majority of the movie gave us accurate, precise visuals. I saw no shimmering or jaggies, and edge haloes remained absent. The movie also displayed no print flaws. Renegades opted for a fairly typical mix of orange and teal, though not cranked to absurd extremes. Within those constraints, colors looked appropriate. Blacks appeared dark and dense, and shadows boasted good delineation. Low-light scenes seemed smooth and well-rendered. This turned into an effective transfer. I also felt pleased with the engaging DTS-HD MA 5.1 soundtrack of Renegades. Unsurprisingly, combat/action scenes added the most zing to the proceedings, as those cranked out vivid material from all around the spectrum. In addition, the mix brought a good sense of place and ambience throughout the film. Music showed nice stereo presence, and effects meshed together well. These moved smoothly across speakers and formed a quality environment for the material. Audio quality seemed satisfying. Music was clear and full, while effects offered accurate, dynamic information. Speech appeared natural and concise, without edginess or other issues. The soundtrack fit the story on display and became a lively partner to the visuals. We get four featurettes here, and Covert Operations runs 12 minutes, 18 seconds. It includes notes from director Steven Quale, dialect coach Andrew Jack, and actors Sylvia Hoeks, Charlie Bewley, Joshua Henry, Sullivan Stapleton, Dimitri Leonidas, Diarmaid Murtaugh, and JK Simmons. “Covert” examines story and characters as well as cast and performances. It tends toward happy talk so outside of a discussion of the actors’ accents, it doesn’t give us much substance. With Keeping It Real, we locate an 11-minute, 35-second clip that features Quale, Bewley, Hoeks, Leonidas, Murtaugh, and production designer Hugues Tissandier. “Real” looks at sets, locations and production design. Like “Covert”, “Real” leans toward the puff piece side of the street, but it nonetheless boasts a higher level of useful information, so it merits a look. Can Do Attitude goes for 10 minutes, 36 seconds and includes Quale, Bewley, Stapleton, Murtaugh, Henry, stunt supervisor Francois Doge, picture vehicle coordinator Jan Kubkowski, and key armourer Lutz Zeidler. “Attitude” provides a look at the movie’s stunts and action. It becomes another erratic but fairly informative piece. Finally, Underwater Adversity lasts 10 minutes, 47 seconds and presents remarks from Quale, Murtagh, Henry, Leonidas, Bewley, Doge, Hoeks, SFX supervisor Uli Nefzer, and underwater DP Pete Romano. As implied by the title, this show examines the movie’s underwater photography and related elements. It turns into a reasonably effective clip. The disc opens with ads for Valerian and the City of a Thousand Planets, Robin Hood (2018) and Kin. No trailer for Renegades appears here. 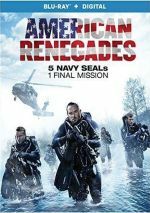 A caper flick that involves US military forces, American Renegades boasts some excitement potential. It never does much with its positive elements, though, so it ends up as a wholly mediocre enterprise. The Blu-ray brings very good picture and audio along with a smattering of supplements. Nothing about Renegades flops but the film simply can’t ever become better than “okay”.